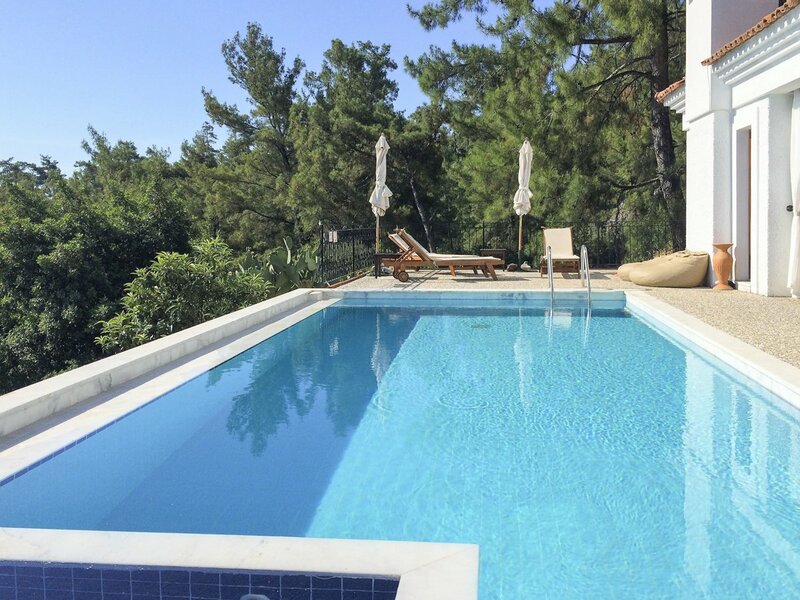 For a peaceful and secluded holiday head to two-bedroomed villa Incir Evi near Marmaris in Turkey. It’s located in a tranquil spot on the side of a lush green valley and boasts breath-taking views across the pine-tree forest. The best of both worlds – you’re only 6km from Marmaris centre where you’ll find local shops and restaurants, idyllic sandy beaches and a beautiful boat-lined harbour. Incir Evi fuses traditional Mediterranean charm with light, contemporary interiors. 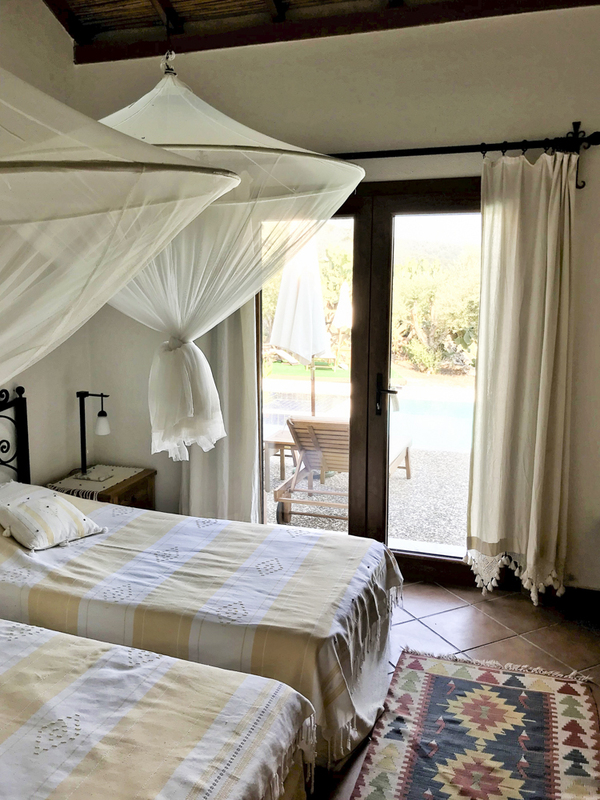 Outside, you’ll find whitewashed walls, rustic stone features and terracotta-tile roofs, while inside the rooms are welcoming and spacious with natural-coloured furnishings. 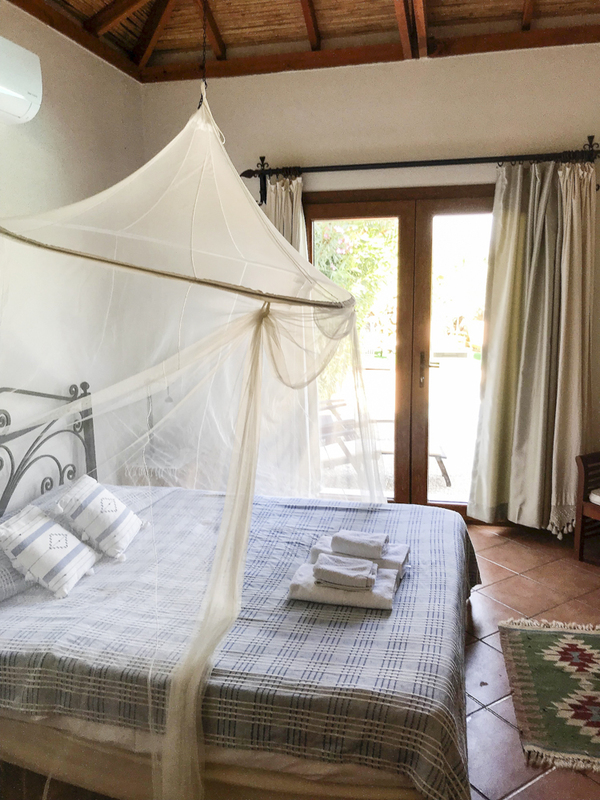 From the comfortable bedding to the handmade carpets, all the fabrics used in the villa are locally sourced from Turkish artisans. For a hassle-free home-from-home experience, Incir Evi is equipped with a modern kitchen – including an oven, dishwasher and washing machine – and there’s an inviting living room space with a traditional fireplace made from white marble as its centrepiece, alongside sofas, a TV and a CD and DVD player. Relax on the seating or dine on the charming wooden table and chairs. The bedrooms are equally welcoming with the master having a double bed and en-suite, and the other bedroom two single beds. There’s also a separate shower and toilet. Rooms are dotted with thoughtful additions like flowers, mirrors and candles, and there’s plenty of places to store your clothes. Extra features include air-conditioning, Wi-Fi and a sofa bed to sleep an additional person. Stepping outside, a beautiful sun terrace greets you with vibrant plants, an electric barbecue and an al fresco dining area for enjoying your morning breakfast or evening drinks with panoramic vistas. Take a dip in your private pool or Jacuzzi – both looking out towards the greenery. Plus, there are several sun loungers and chairs for getting your prime spot in the sunshine or cooling off in the shade. 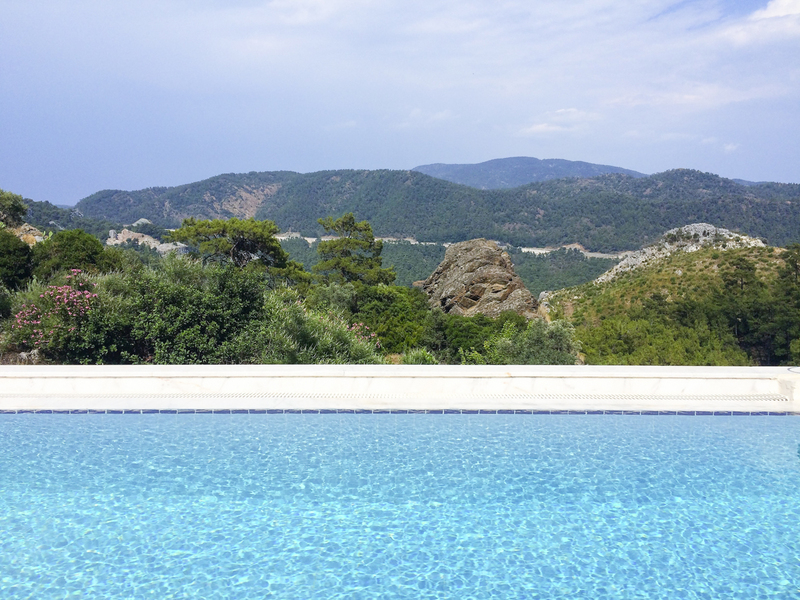 Incir Evi is only 6km from the vibrant resort city of Marmaris in southwest Turkey. 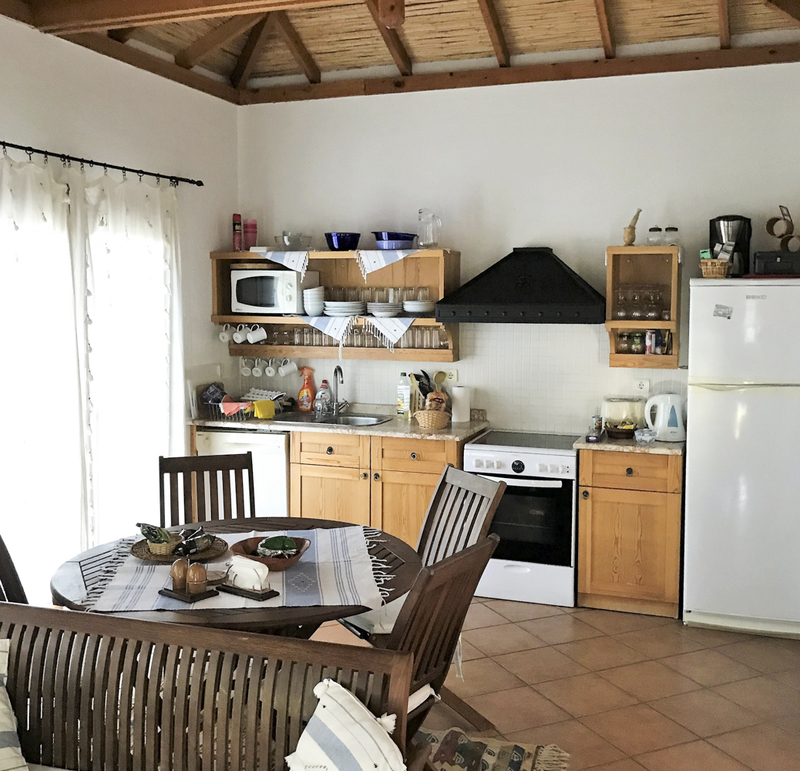 The villa is in a peaceful spot, nestled between pine-clad forests, and apart from the owner’s two other villas, there’s only one farmhouse in the area. You can take scenic walks through the trees, explore the natural surrounds on mountain bikes (hire available) or there’s a popular fishing spot close by. If you can bring yourself to leave the comfort of your villa and head into Marmaris centre, there’s a local dolmus (minibus service) which passes just 250 metres from the villa and runs between 8 am and 10 pm. Taxis cost around £15 one way, and drivers are reachable by texting or phoning. If you prefer, the owners at the villa can arrange car hire for you, so you visit more of the charming part of Turkey. In Marmaris centre, the 16th-century castle is a famous attraction. It’s perched on a hilltop and draped in beautiful bougainvillaea flowers. There’s also an archaeology museum with underwater excavated treasures, a classy marina and picturesque harbour lined with colourful yachts and restaurants, cafes and bars serving everything from fresh seafood to meaty kebabs (the country’s speciality). Stroll along the shops and haggle for local honey and traditional rugs or head by water taxi to Turunc or Kumlubuk Cove – often stated to be the most beautiful beach on the Bozburun Peninsula. You can swim there or wander through the peaceful village of Kumlubuk. From there, you can also walk to the ancient city Amos, where there are parts of the city walls and theatre remaining. Relax after your Marmaris sightseeing with a massage at a traditional Turkish bath and then by watching the sunset. 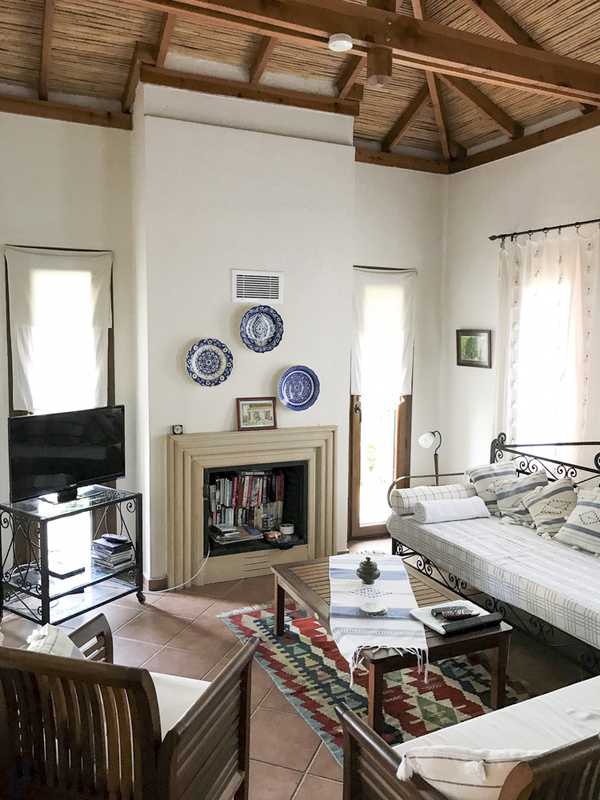 Other places to visit include; Akyaka for it's fish restaurants along the river, Selimiye which is a small boutique resort with a lovely selection of fish restaurants or Dalyan for the Iztuzu beach and the ancient site of Caunos.